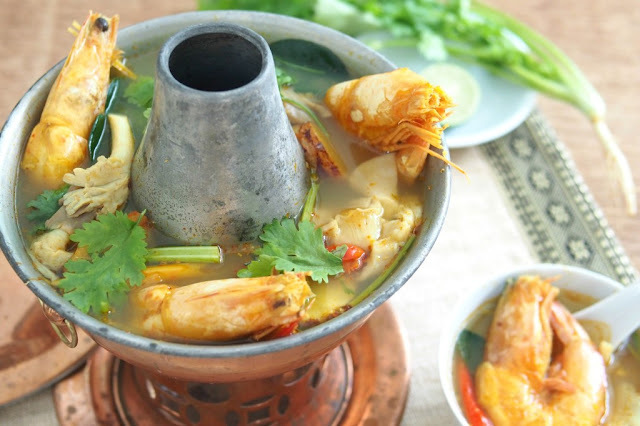 This is my own Tom Yam Soup recipe which is prepared with a lot of fresh herbs and spices and without coconut milk. 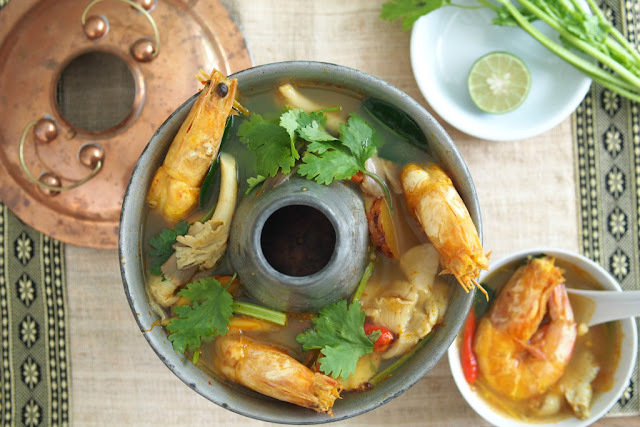 I must say this recipe is quite healthy other than the addition of fish sauce and prawns. I used the homemade Tom Yam Paste I shared in my previous post. You may adjust to taste as you may like it more spicy, sweet, salty or sour. I hope you will enjoy this recipe. 1. Add water, fresh herds/spices in a big pot and bring to the boil on high heat until fragrant. 2. Add in prawns and boil for 2 – 3 minutes until prawns are just cooked. 3. Add tomatoes, onion and oyster mushroom; simmer on medium heat for another 3 – 4 minutes. 4. Season with fish sauce, sugar, salt and lime juice to taste, then stir in chopped coriander. 5. Garnish with extra coriander leaves before serving, serve with rice.